Big parallel twins may have been the staple fare of the British industry in the late 1950s and 60s, but there were plenty of variations on the theme. With a character all its own, Royal Enfield's twin offered one of several alternatives to BSA/Triumph conformity, and was for several years the largest of its kind. battery, coil and distributor, and although the Albion gearbox was a separate unit. It was rather unimaginatively called the 500 Twin. A few years later the 1953 700cc Meteor went one better than the rival 650s by offering what was effectively a doubled-up 350 single. Design changes to the engine, lubrication system and cycle parts resulted in the 1956 Super Meteor. 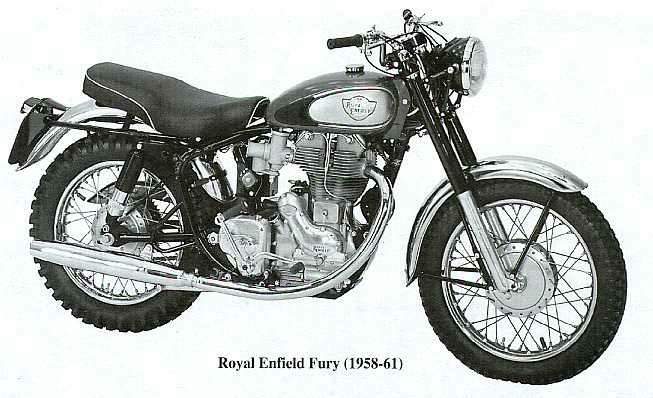 A year later, with the Vincent V-twin already gone, the big Enfield was the largest capacity twin on the market. The 700cc Constellation launched in the USA in 1957, first appeared in Britain in 1958, along with a new, much lighter 500, the Meteor Minor. With new engine castings, the 'Connie' was sportier with a very robust bottom end, hot cams and, initially a single racing Amal TT carburettor. With a suitably tuned cylinder head, the resulting bike was a real road-burner capable of well over 110mph. On test, it bettered I 15mph. The racing carb disappeared in favour of twin Monoblocs in 1959, but the bike was still fast -although it soon gained a reputation for fragility, while the front brake was inadequate for the power and speed. In fact, there were a number of niggles, which meant that the model never achieved the popularity of the Triumph twins, despite its theoretical advantages and better acceleration. To counter complaints of heavy vibration, the crankshaft was redesigned. The rather weak clutch was altered in 1961, and there were a number of styling changes. 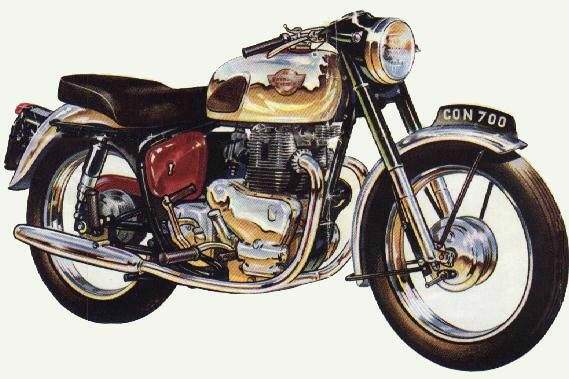 This became the ultimate example of the 'Connie', because in 1963, Enfield launched the even larger 750 Interceptor (actually a 736cc design) while the Constellation was relegated to sidecar duty before production ceased that year. The 750 twins only lasted a few years more before bowing out at the start of the 1970s, with the company suffering from the financial malaise of much of the industry.